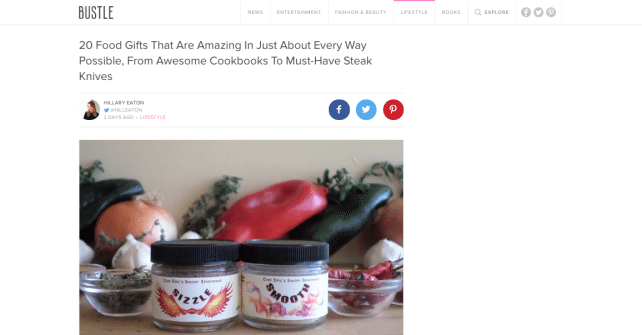 My Savory Seasoning Spice Blends (which can be purchased HERE) were recently featured as in Bustle’s Holiday Foodie Gift Guide! Take a look at what they wrote. This is a great gift idea and we send it Priority Mail to you or your giftee with recipe cards included. I also have videos online to help you create delicious meals! Chef Eric Crowley of the Culinary Classroom brings his secret weapon to your kitchen. These spice blends are the perfect gift for anyone craving a little extra flavor in the kitchen. Go for “Smooth” when you’re looking for an extra pinch of something special, and “Sizzle” when you’re in need of a major spicy kick.